Paul Crilley was born in Scotland and moved to South Africa when he was eight years old. He and his wife have two children and they live in a village called Hillcrest, which is on the east coast of South Africa. They have two dogs and seven cats. Visit Paul Crilley’s website. 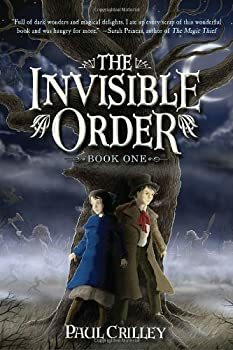 CLICK HERE FOR MORE BOOKS BY PAUL CRILLEY. The Lazarus Machine hooked me at first because I really like the title. I mean, come on, that’s just a cool title. The Lazarus Machineis a young adult steampunk set in the late 1800’s in an alternative Earth. Paul Crilley, for the most part, pulls this time period off well, despite the Sherlock Holmes feel (which is starting to feel a little been-there-done-that for my taste). The book starts out with interesting steampunk inventions. There are steam powered computers, automatons powered by captured souls, steam carriages and the like. Many readers will be absolutely captivated by all that Crilley has created in his steampunk alternative earth. 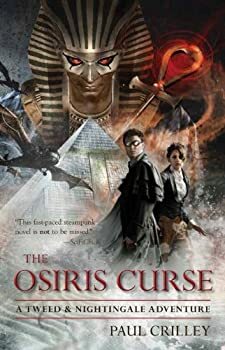 The Osiris Curse is the second book in Paul Crilley’s YA steampunk series TWEED AND NIGHTINGALE. While much of this fast-paced adventure seemed obviously borrowed from works like the Librarian movies, Doctor Who and even China Mieville’s book The Scar, the two protagonists are charming and the story moves along at a good clip. Crilley raises some moral questions that should make early-high-school aged readers think. 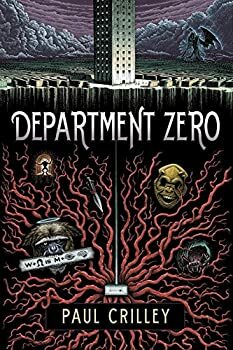 Department Zero by Paul Crilley is a neat mashup of humor and horror, of interdimensional fantasy and Lovecraft. First person narrator Harry Priest has a lively voice and a lot to learn when his life gets turned upside down after one really bad day at work. If you like acerbic British humor and the Old Ones of H.P. Lovecraft, this is a book for you.